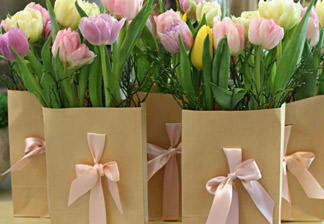 Spring comes to flower shops as early as January, bringing spring flowers and spring feelings back into our lives. Would you like to find out more about the symbolism of snowdrops, ranunculi, anemones, tulips, jasmine and violets? Simply click on the respective headings. Enjoy! Ranunculi say: "You're simply enchanting!" 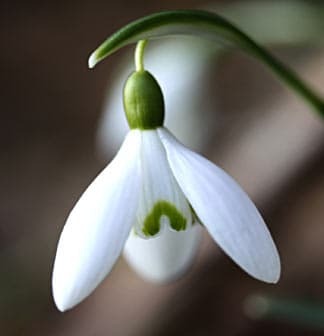 Being one of the first flowers to appear each year, sometimes flowering amongst the last remaining patches of snow, the snowdrop used to symbolise the awakening of love. No wonder lovers were attracted to this delicate flower. Those of a timid nature used it as a charm to kindle feelings of love in the queen of their hearts. 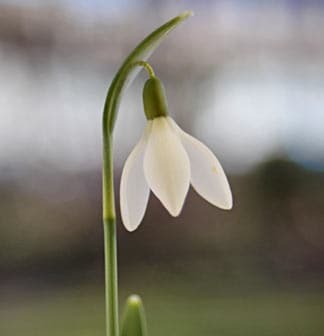 Young girls also resorted to it to rid themselves of overly persistent admirers by slipping the snowdrop inside an envelope and sending it to the unlucky and unloved Romeo. There is nothing in writing to testify to the effectiveness of this method! 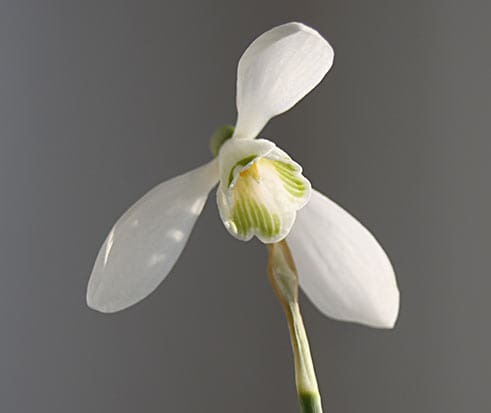 By the way: the snowdrop comes third in our survey of the most popular spring flowers. 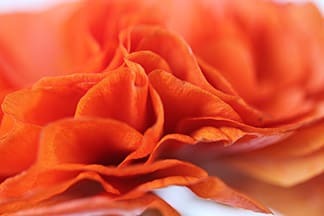 Discover the language of flowers HERE. Shy? Say it with flowers! To visit the shop, click HERE. Do you know why the snowdrop blooms in the cold season? 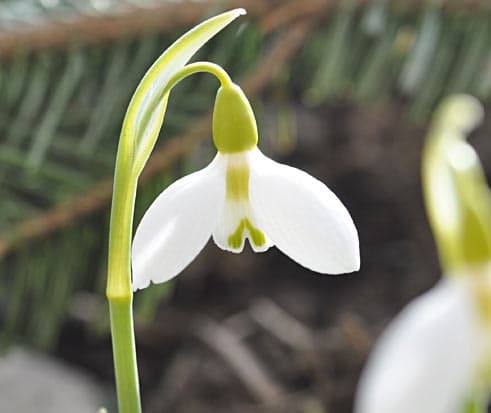 Well, the snowdrop has a tough bract leaf that protects the delicate petals, but this spring plant also draws eight to ten degrees of "organic heat" from its bulb. This heat melts the light snow around the stems and leaves, also providing a source of water at the same time. 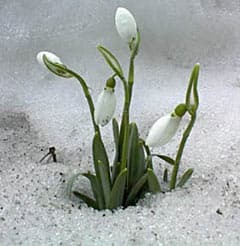 Observe the stalks of a snowdrop poking up through the snow and you'll always see a small gap between the flower and the snow. 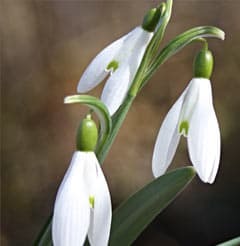 Try snowdrops if you feel that you and your new partner could be a little closer. Capable of melting snow, we guarantee they will also melt hearts! 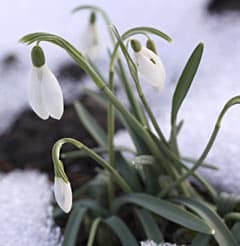 In certain cantons, snowdrops have been designated an endangered plant species and some benefit from official protection. 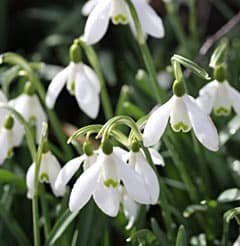 The snowdrops you will find in flower shops come from flower growers and, in Switzerland, are usually sold as pot plants. 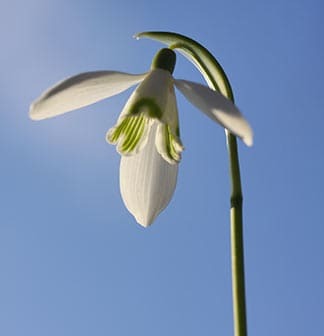 Tip: place your snowdrops somewhere as cool as possible and water regularly, but not too much. Snowdrops hate being waterlogged! See our spring flowers and other messages of love HERE. 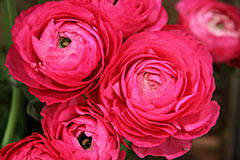 It is not for nothing that ranunculi are amongst the most popular spring flowers. 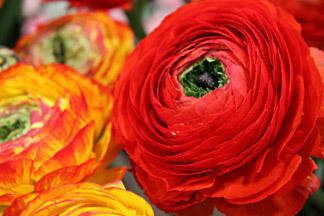 Are you also a ranunculus fan? Well, we have a little story for you: Once upon a time, there was a prince. He was so handsome and good that he charmed everyone and everyone loved him. But there was also a witch: ugly and evil, and everyone hated her. 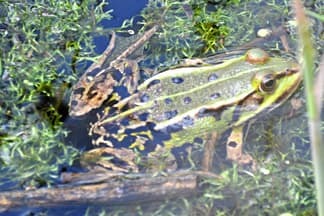 No wonder the witch was jealous of the prince and turned him into a frog on the spot. Finally, the prince was rescued by a good fairy. 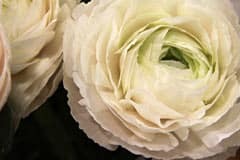 Powerless to turn him back into a prince, she changed him into a flower instead: a ranunculus so beautiful and irresistible that it enchanted all who set eyes on it. 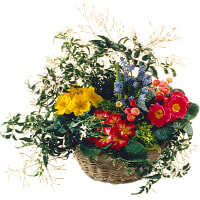 And that led to the message which is conveyed in the language of flowers – you’re simply enchanting! If you're not yet familiar with ranunculi, you should get acquainted. 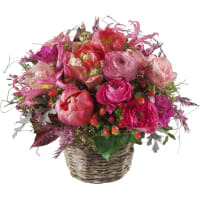 These flowers have wonderfully lush petals in a breathtaking array of colours ranging from rose, pink, red and aubergine to orange, salmon, yellow, cream and white. 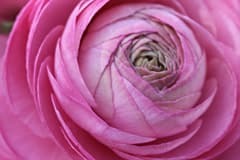 See enchanting ranunculi and other spring flowers HERE. 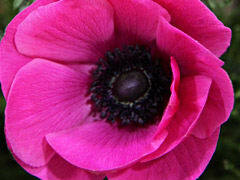 The first anemones will appear in your flower shop in February. These very popular plants come in all shades of red and violet, adding zest and gaiety to their surroundings. In the language of flowers, their name means "tenderness" and "devotion", and there's a good reason for that: Anemona was the name of a beautiful nymph living at the court of the goddess Flora and Zephyr, Greek god of the west wind. Zephyr fell in love with Anemona … whereupon Flora, in a fit of jealousy, turned her rival into a flower. A flower so wonderfully tender that, when the language of flowers was created, it came to symbolise "tenderness" and "devotion". 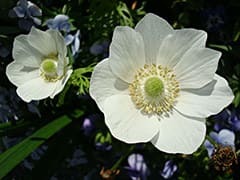 There is some disagreement about the meaning of the name "Anemone": some think it is derived from the Greek word for wind (anemos) because of the legend surrounding its origin and the link with Zephyr, Greek god of the west wind. 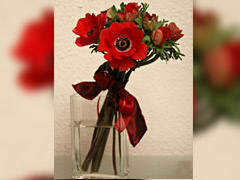 Others suppose the name comes from the Arab word for blood (an-nu'mān), in reference to the mostly red-coloured petals. 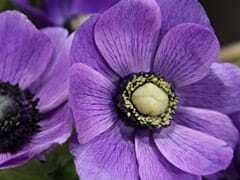 See anemones and other spring flowers HERE. 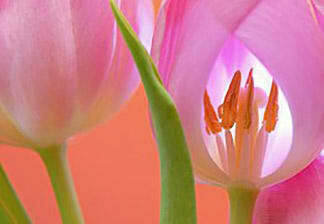 Tulips have long been associated with love. In 11th century Iran, they were revered as a symbol of immortal love. Nomads later took these colourful flowers with them to Turkey, where they delighted the sultan and also members of the nobility - Sultan Suleiman the Magnificent in particular. He took to dressing in robes of silk and brocade richly embroidered with tulips, and had his palace filled with so many tulips that it became known as the "Palace of Tulips". The palace gardens were truly a feast for the eyes, with tulips taking pride of place there, too. 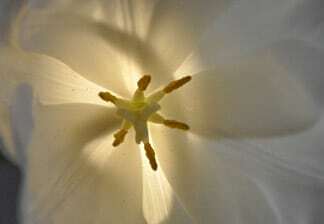 Tulips were compared to beautiful women, and were given poetic names such as: "She who burns my heart", "Lucky star", "Light of my thoughts", "Face of the beloved", "Light of paradise", "Incomparable pearl", "Diamond's envy" or "Twilight rose". 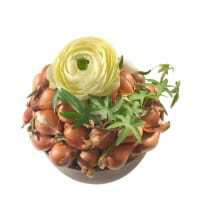 Our survey indicates that, from January to March, tulips are the most popular of all spring flowers because they are associated with a declaration of love in the language of flowers and are a sign of genuine feelings. Read more about tulips HERE. 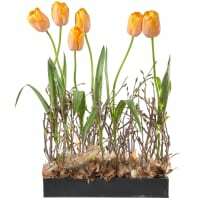 Find out how to care for tulips HERE. 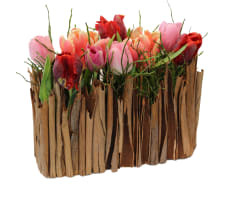 Like to order tulips using MyBouquet, the magic vase? Visit the shop HERE. Originally from the Himalayas, jasmine has powerful seductive qualities: fragrant and charming, it is a subtle conqueror of hearts. Here in the West, it symbolises kindness; in Asia, it represents beauty and love. In many Asian countries, it plays an important role in wedding ceremonies and is otherwise widely used by women as a decorative hair accessory. It is much appreciated for its beautiful white flowers and exquisite fragrance. It is interesting that the buds are sometimes more fragrant than the flowers themselves and certain species give off their best perfume after sunset and during the night. Furthermore, a study by the Heinrich Heine University in Düsseldorf has established that the fragrance of jasmine has a relaxing effect. In Europe, jasmine is a traditional ingredient in feminine perfumes. Genuine essential jasmine oil is extremely costly due to its low yields and was once weighed against gold. 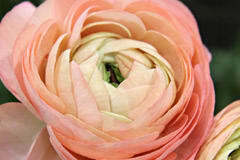 The plant's name is allegedly derived from Persian and means "symbol of love". A charming gesture or a declaration of love? 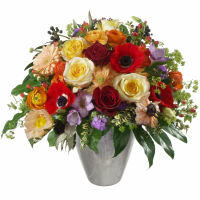 See our floral messengers HERE. Just like snowdrops, violets are very much part of spring. They do not rely on size or flamboyancy to attract attention either. They appeal to the heart, combining subtle charm with a hint of nostalgia. Not to forget the bewitching scent that sweet violets produce. 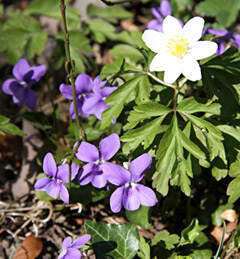 In other words, violets are touching flowers that symbolise modesty and love. 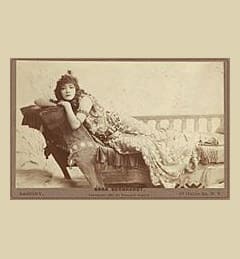 Violets are often underestimated: in the past, for example, they had a number of famous fans such as Sarah Bernhardt, or "La Divine", as the French stage actress was known. An international star, she was admired and feted throughout Europe and America. 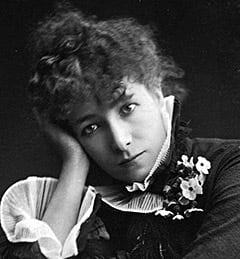 It was said that she made the large Parisian florists rich by having her nightclothes decorated with fresh parma violets every day. 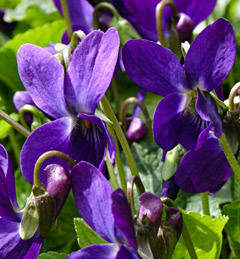 Napoleon Bonaparte also adored violets and showered them upon his wife Josephine, whom he loved passionately. Last but not least, violets will forever be associated with Aphrodite, the Greek goddess of love, whose crown was made of violets. 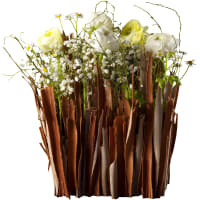 Tempted by tender spring flowers? Browse a selection HERE.